OK, as a fashion-centric person this is my kick start. 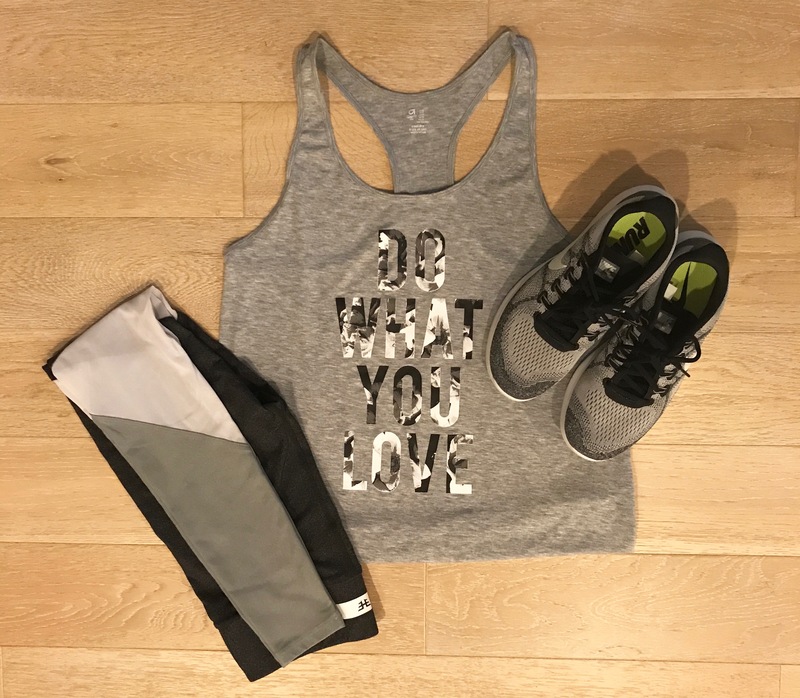 Forget old stained college t-shirts, you need fun, flattering workout wear. Maybe it’s the writer in me, but I love tops with motivational or sassy sayings. They keep me going on the treadmill or elliptical. I am what I say! Love this, this, this and this. By the way I’m HATING my neck (not photo-shopped!) 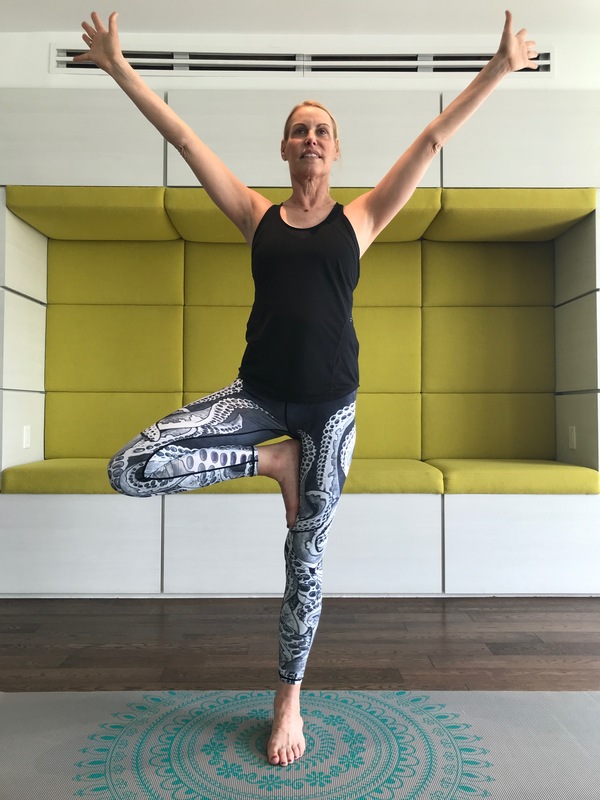 in this photo but loving the strength of my Tree pose. Life’s a trade off, right? I just discovered these yoga leggings on Amazon and they are the amazing. They feel great, fit great (true to size) and are full coverage. Not to mention very affordable. Check them out! There are so many anti-aging benefits to strength training. 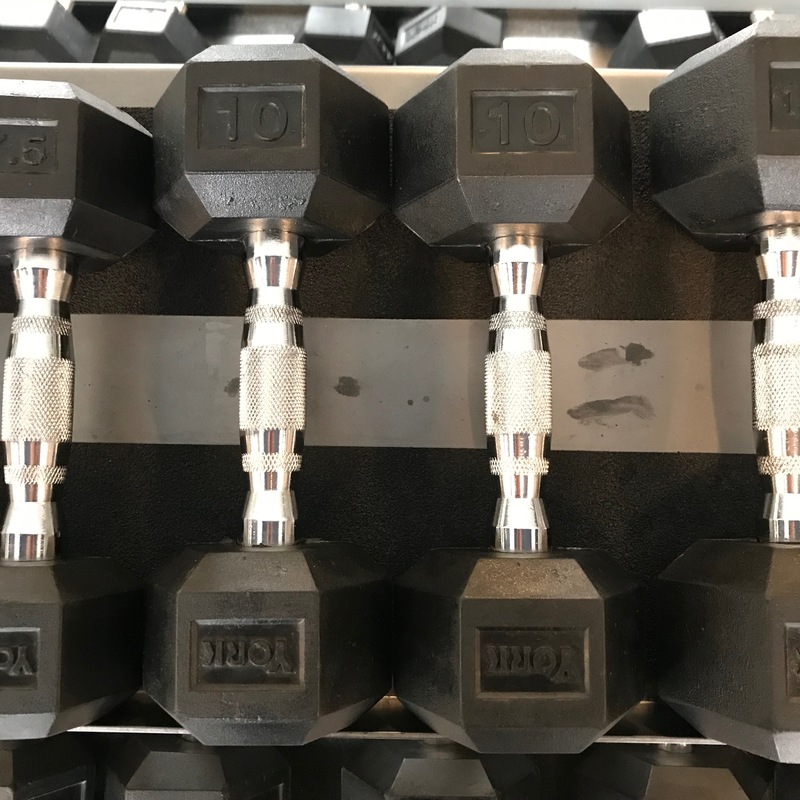 Research has shown that exercise with weights helps fight off muscle weakness, skeletal weakness, lower energy, changes in physical appearance, and even diminished brain function. Since I’m no expert I’m not going to go into any more detail, but just let you know that I work out with free weights and weight machines twice a week. Again, If you’re not sure how to start…join or gym or sign up for some classes. The biggest thing is to stop thinking you don’t have time or don’t know what to do and get moving! We’re only given one body. We need to nurture and strengthen it. If you’re not sure what to do, ask around, google classes in your area, enlist a friend. Do it together. But just…do it. For more info on the power of working out with weights, check out this link. The 6-8 glasses of water a day experts recommend is no joke. I try to abide by it, and when I don’t I truly see and feel the difference. One of my new favorite ways to “juice up” my filtered water is with Nuun. 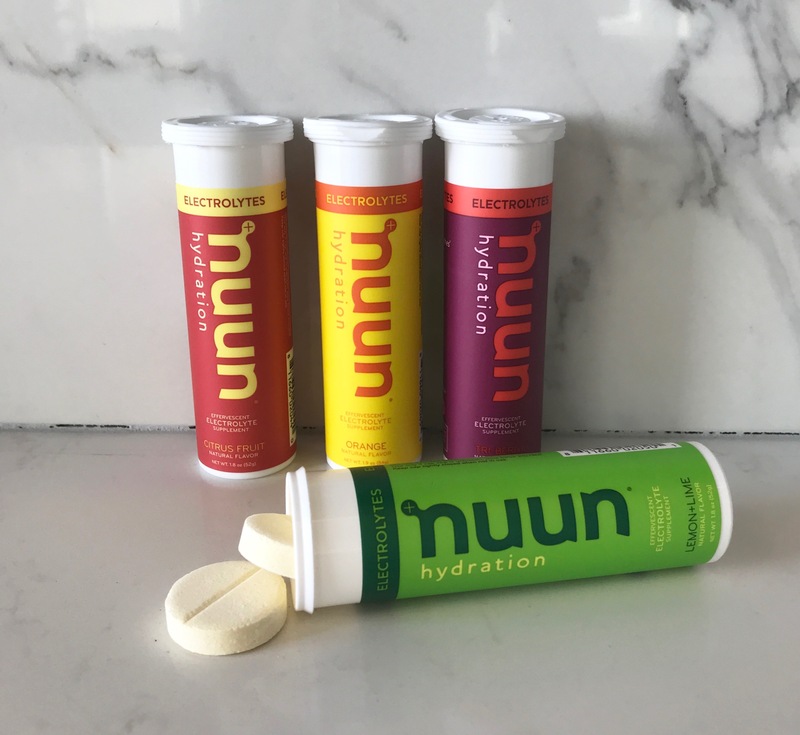 Enhanced with electrolytes and bursting with natural, low calorie fruity flavor, when added to water these tablets keep up your energy and hydration no matter how active you get or how much you sweat. Obviously they are great for workouts, hiking, climbing, cycling and more. But how great would these be on an a long flight? Or after one?? I’m packing them for a trip to Germany in June. 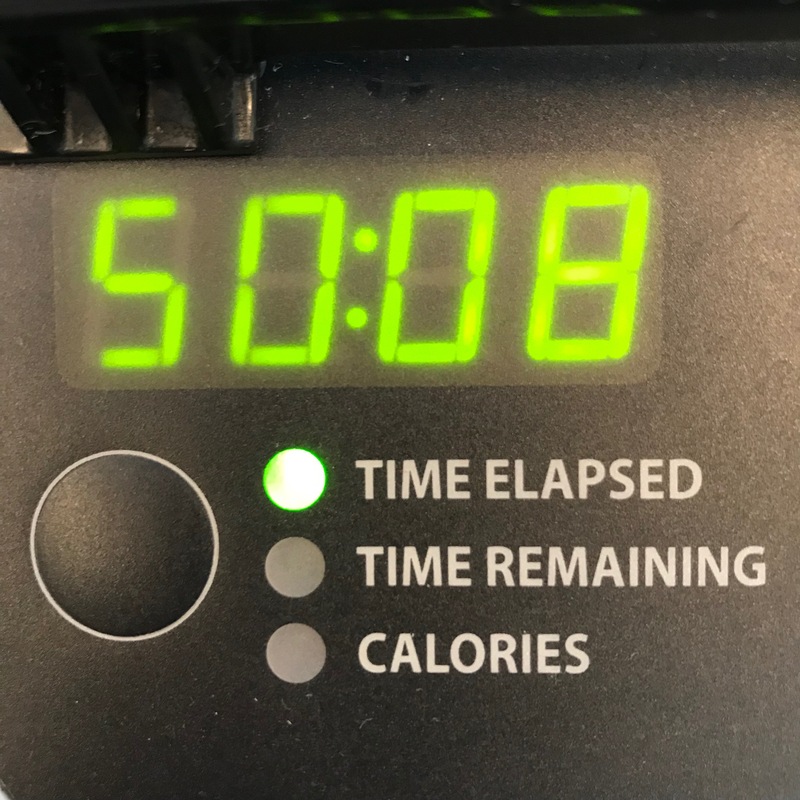 So this is my first post on fitness. And obviously a work in progress. Would love to hear any thoughts, questions, suggestions you have! Let’s do this together!! I really enjoyed this post, MP. I have been active with dance, horses and then martial arts my entire life. On my next birthday I will be 70 years old. My body is beginning to cave-in regardless of my past and current athletics. It is a reality that is useless to fight or hate; it is our mortality. Thank you for your positive, determined and tenacious example. It is great (and comforting) to know that there are other fitness buffs who have to work hard, also!